A peach wedding cake with brush embroidery lace. 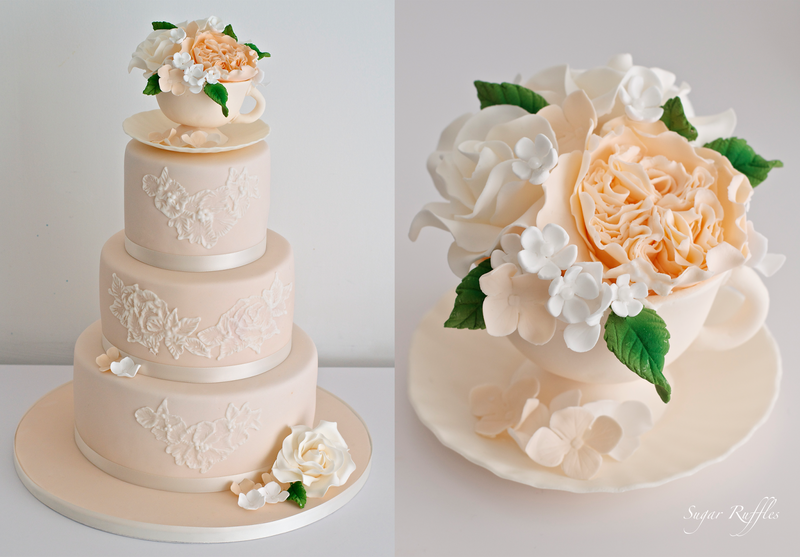 Topped with a sugar teacup filled with sugar flowers, including a peach English garden rose, ivory roses, peach hydrangea flowers and small white blossoms. The cake was delivered to Storrs Hall Hotel for the wedding of Kellie and Neil. Thanks Petra! They had teacup decor/centrepieces at the wedding and pretty peach bridesmaids dresses, so it worked really well with the theme!